2. 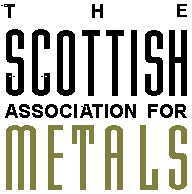 The purpose of the award will be to assist the recipients to exchange or develop knowledge and understanding in the processing and behaviour of metals and allied materials. 3. The award will normally contribute towards the travel costs incurred by the recipients in the pursuit of these aims. 4. Recipients will expected to acknowledge the support ot the Association and to support and promote its activities. 5. All applications for an award must be submitted in writing to the Honorary Secretary of the Association not less than one month before the expenditure. 6. The application should state the reason for the request, a breakdown of the expected costs, the expected contribution from the Association and the level of funding from other sources. 7. The award will normally be paid to a business or academic establishment and will only be paid to individuals on proof of expenditure. 8. All awards are at the sole discretion of the Association and no correspondence can be entered into.